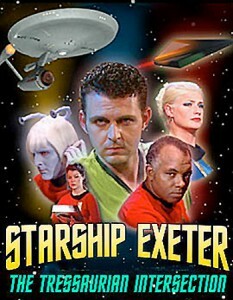 A whole new bridge dazzled fans in the second episode of Starship Exeter. Director Scott Cummins oversaw a grueling three weeks of filming. July in Texas is oppressively hot, and the studio had no air conditioning! Add to that the heat coming off the bright lights, and the decision was quickly made to film all the scenes at night while a small team worked by day to prepare the sets and equipment for the night shoots. Even so, the heat was intense. In several scenes, you can clearly see some of the actors sweating profusely (which kinda works, as many of those scenes happen in tense battle sequences). Lights, camera, action! The first week of filming was done entirely on the awesome new bridge set. 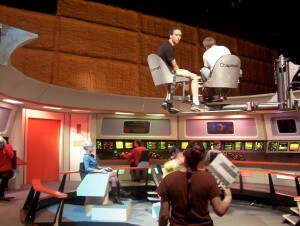 All the bridge scenes were filmed during the first week. Then production moved into the briefing room, the engineering alcove of the U.S.S. 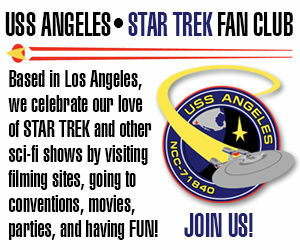 Kongo, the corridors, the cargo bay, and finally, the transporter room. Additional outdoor location filming for the teaser was done in Big Bend National Park near the Mexican border. Speaking of the teaser, executive producer Jimm Johnson decided to release the episode in segments, as post-production was completed on each portion. The teaser itself premiered on the Internet on July 1, 2005, approximately a year after filming wrapped. Considering that the editing, scoring, VFX, sound mixing, etc. were all being done by volunteers working in the evenings and on weekends, a year turnaround wasn’t all that unreasonable. Not to mention the fact that the wives of both Jimm Johnson and his post-production supervisor Dave Weiberg had babies shortly after the team began editing! Once again, the Internet went wild as soon as they saw the 5-minute trailer. At the time, Star Trek: New Voyages had released only two episodes (other TOS series like Starship Farragut and Star Trek Continues were still years away), and fans were marveling at these two giants achieving ever-greater triumphs of recreating Star Trek for a modern fan film world. Momentum continued four months later when Act 1 added another 10 minutes of episode. Just as polished and just as exciting as the teaser, fans were thrilled and chomping at the bit for more of “The Tressaurian Intersection.” In fact, three months later in January of 2006, Director Scott Cummings began a regular Starship Exeter podcast to interview cast and crew and get production updates from Jimm Johnson. Act 2 premiered shortly thereafter in February of 2006, another masterful installment progressing the plot even farther forward. Production seemed to be moving along quickly, with more than half the episode released within a six-month period. More than a year and a half would pass before Act 3 was released in September of 2007. During that interim, fans were feeling increasingly antsy. One even created a short video full of Exeter clips played over the “Mission: Impossible” theme with the title “Act III is not impossible!” But finally, there it was! Act 3, even more exciting than the previous releases with a cliffhanger that left fans desperate for more. On what wound up being the final Exeter podcast shortly after the release of Act 3, Jimm Johnson predicted that Act 4 was “a few months” away. Turns out Jimm was off…by SEVEN YEARS! Act 4 was finally released on May 1, 2014. In the interim, fans had nearly given up hope, especially after learning in 2010 that most of the magnificent Exeter bridge set pieces had been left in a central Texas barn to decay from exposure to the elements. Most of that once-awesome bridge was now in pathetic shape, water-damaged and falling apart. (What happened next to that poor set will be covered in a future blog entry). As even more years passed without the release of the concluding act, rumors began to circulate as to what might have happened: the video was ruined, it was never filmed at all, somebody died, everyone had a big falling out, or the money ran out. It turns out that it was none of the above. So what did happen to cause such a delay? Well, part of the issue, of course, was simply that the people doing post-production were volunteering in their spare time, and finishing a film takes a lot of work. Also, some scenes needed pick-up work or partial refilming, and that meant contacting actors and waiting for them to be available. But really, those excuses don’t explain why completing act 4 took five times longer than competing act 3 and twenty times longer than acts 1 and 2! 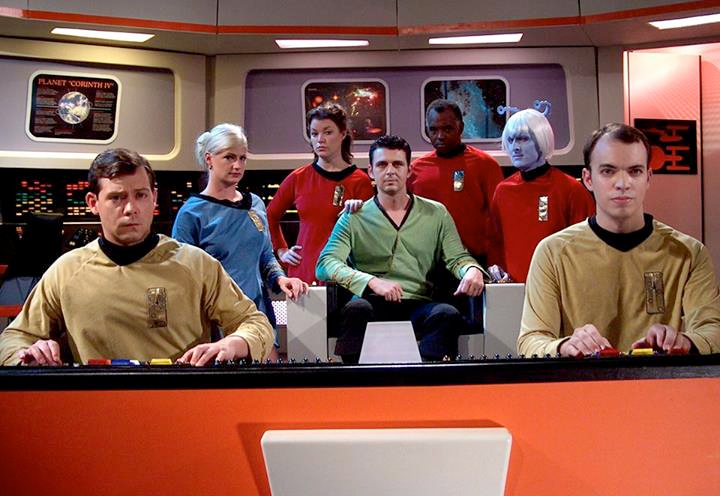 First, the decision to edit and release the episode as a series of acts created problems. Script and scene changes were made during post-production to fix things that weren’t working, such as poorly shot scenes, sub-par performances, or simply places where the original script could be improved. While a commendable intention, it often resulted in what Maurice called “robbing Peter to pay Paul.” Scenes intended for later acts were cannibalized for earlier acts, creating a domino effect that made it increasingly more difficult to finish those later for lack of decent options to pull from. A rough cut of Act 4 that was supposedly “ready” to release in 2008 turned out to be not ready at all, as so many pick-up lines and awkward voice-overs were needed to make up for the lack of originally-filmed content that the finished product suffered greatly. The newly hired Maurice Molyneaux realized that he would need to go back to the drawing board with Act 4 and re-edit it. 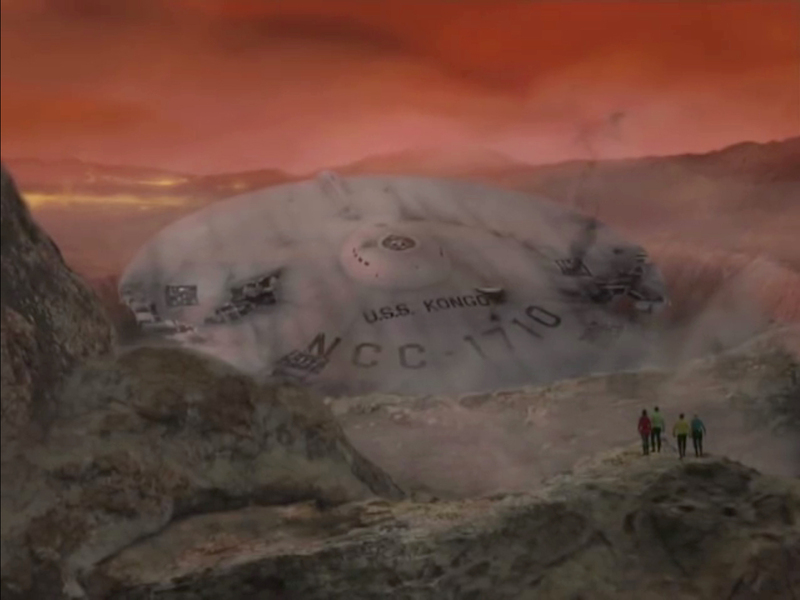 There were other challenges, as well, including poorly organized video files lacking any coherent naming conventions, a larger number of complex VFX shots in Act 4 than in any of the other acts, and a lot of people who were involved at this point who were not always available due to the priorities of real life. When all is said and done, the final act really was worth the 7-year wait… as crazy as that sounds. The episode ends with an exciting and suspenseful climax, and the whole 52-minute film, when watched from beginning to end, stands proudly as one of the finest examples of Star Trek fan films, even judged by today’s standards. So what does the future hold for Starship Exeter? Will there ever be a third filmed episode? Sadly, the answer is very likely no. In the decade since “The Tressaurian Intersection” was filmed, many members of the cast and production team have scattered to the four winds, moving away from Austin, starting families, and their time just isn’t as free as it used to be. And of course, the sets are either unusable or moved out of state, so that limits their options, too. As it happens, a third script does still exist for Starship Exeter called “The Atlantis Invaders,” written at the same time as “The Tressaurian Intersection” but never filmed. There has been some discussion of trying to reunite the cast to do an audio-only episode, which would be much less costly and time-consuming. But at this point, no solid plans have been announced, and fans have learned with Exeter that patience is not only a virtue; it’s a requirement! You can check out “The Tressaurian Intersection” here. And for a fun laugh, you can also watch their short vignette “The Night Shift”. It was filmed mostly as a lighting test on the still-under-construction bridge set back in 2004 and released a year later. 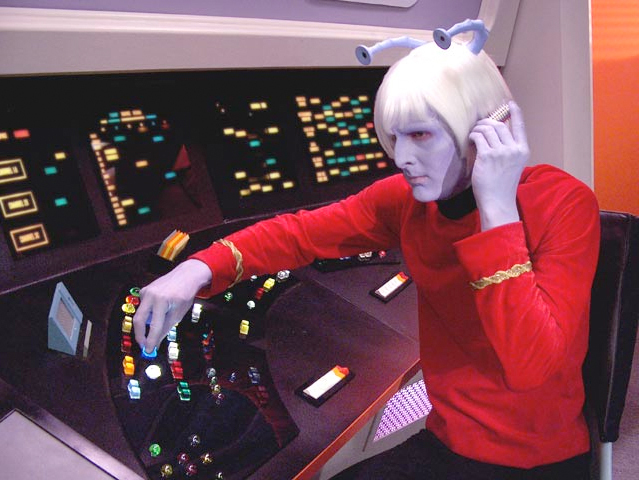 It was never meant to be taken seriously, and as such, is even more satisfying considering how seriously Starship Exeter was working to make one of the most impressive Star Trek fan films of the time.